As artists, we are constantly looking for inspiration and new approaches to our craft to keep our perspective fresh. Sometimes that feels like work. Other times, it comes together so easily and naturally that it feels like it was meant to be. As soon as Amanda and Bill asked us to photograph their wedding, we knew that it would be epic. It did not disappoint. Amanda and Bill's wedding was possibly the most unique and romantic wedding we have had the pleasure of photographing. 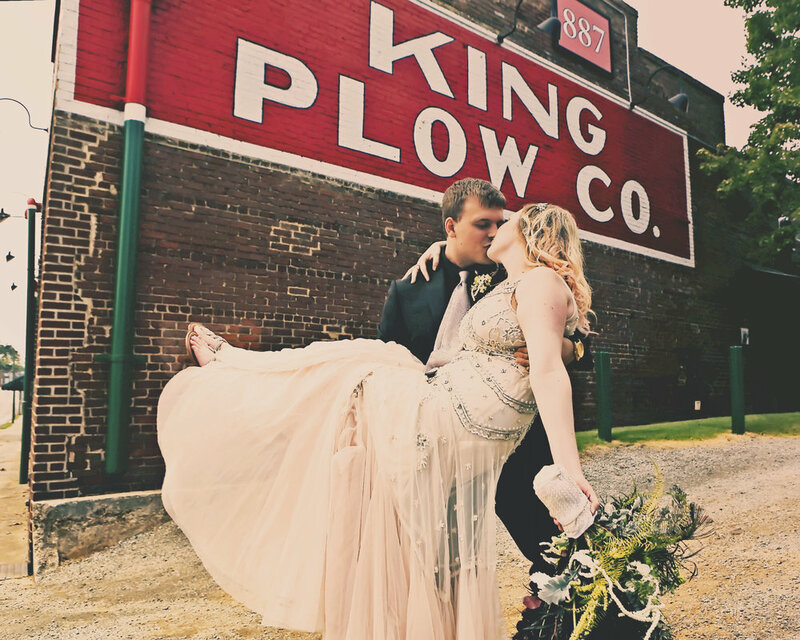 Taking place at the super-hip King Plow Arts Center, this wedding was the perfect combination of an exclusive gallery opening, an intimate loft party with your best friends, and that date with your significant other that made you know that they were the one. It was authentic, relaxed, and sweet beyond words. Am I gushing about this enough? Let's get to the evidence. The details of this wedding were so important. Each decision made when conceptualizing the look of this event made so much sense. It felt effortless, as if this is exactly how it was supposed to happen and it could not have happened in any other fashion. 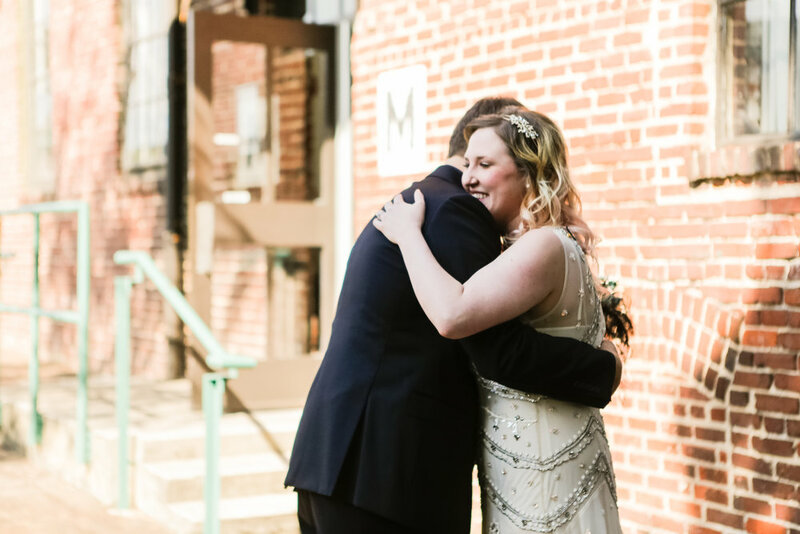 Amanda wore an breathaking and atypical wedding dress that I personally will never forget. 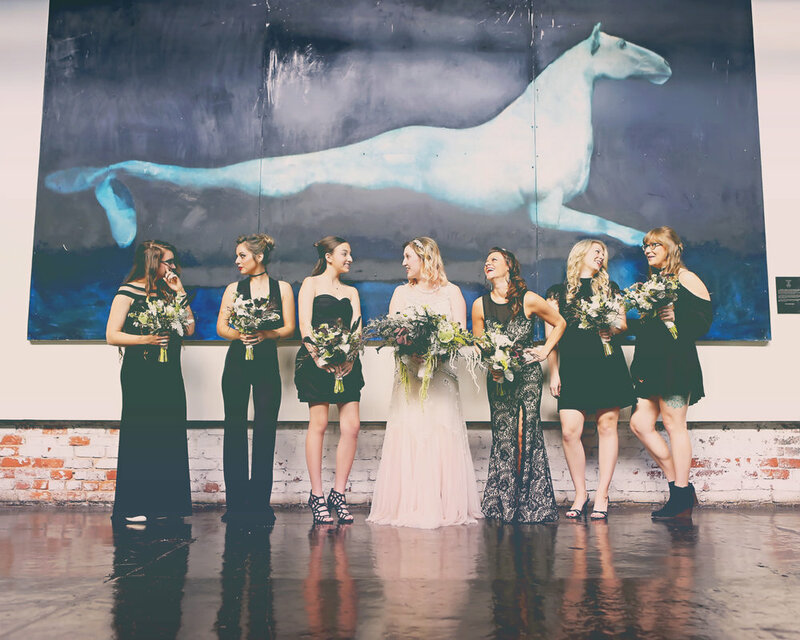 The bridal party had so much intrinsic style that they could have walked out of a magazine. 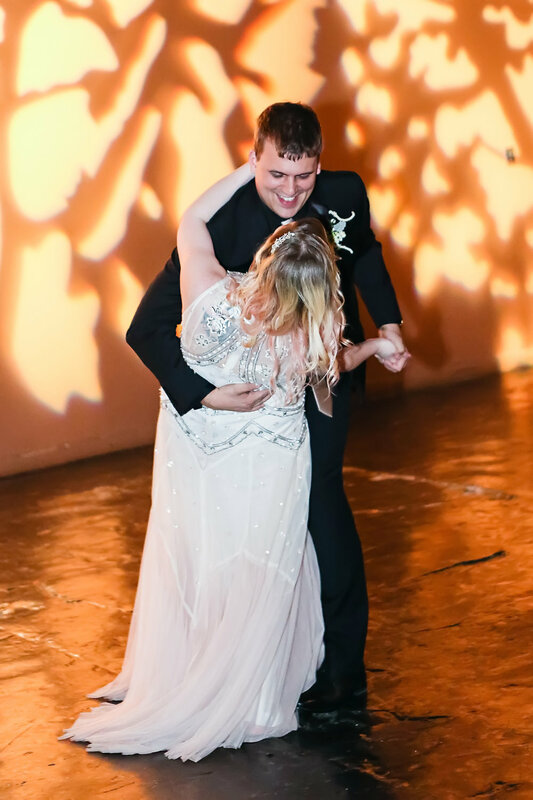 Al Dellinger of 2000 A.D. Inc., Concepts In Floral Art delivered some truly inspired floral pieces that captured the personality of the bride and groom so perfectly. The main decoration of the event was the art present in the gallery and the weathered texture of the space itself, and these floral works of art added both softness and drama. Truly unforgettable. The ceremony was brief, but so heartfelt. The lighting was dim, with accents of warm light coming from candles, a dramatic projection on the wall behind them, and flickers of ambient light from the skylights above. Love just poured out from each moment. Once the reception started, you really never wanted it to end. 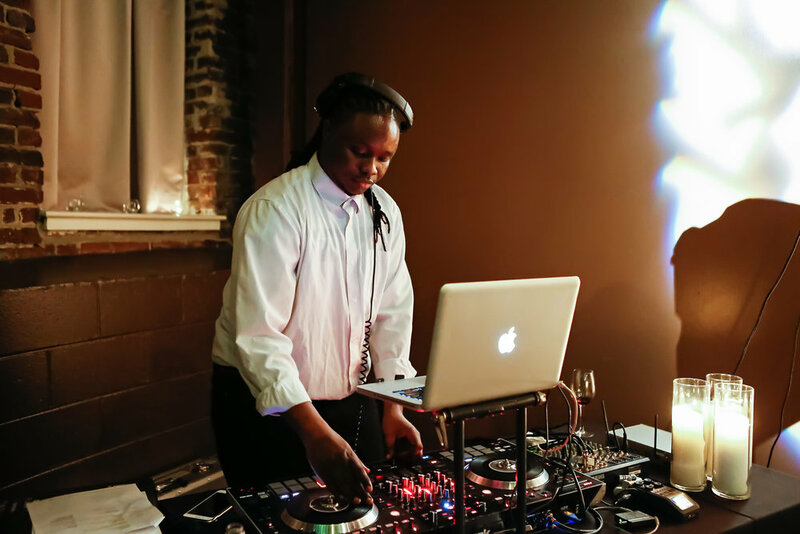 It was as if the space were transformed into a coolest party in town: it was dark, the best and most diverse mix of music was thumping, people of all ages were having a great time. 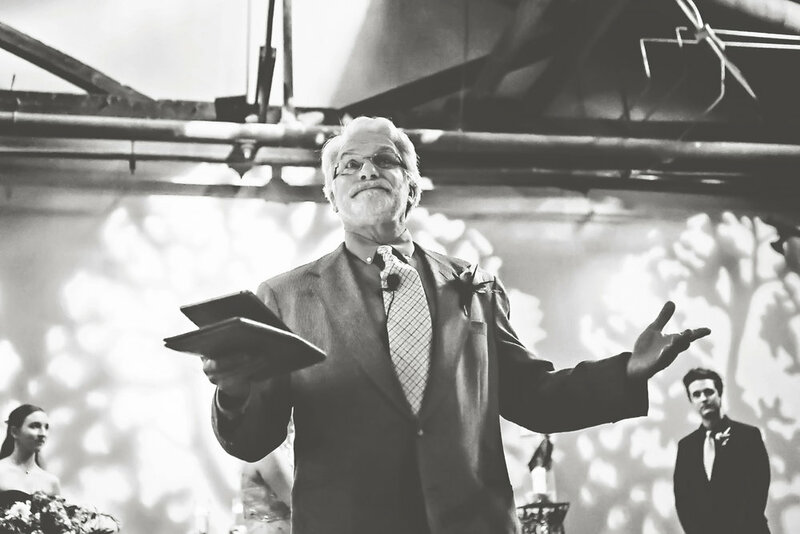 The joy that everyone felt about Amanda and Bill's union permeated the room. Oh, and let's not forget the food, which was easily the most delicious meal we have had at a wedding. Bold American Events provided an awesome spread of both small bites and rib-sticking goodness. Pastry Shells created a stunning gold painted cake that looked almost too good to touch (but don't worry - we got pictures before it was devoured). Food this rich and delicious never looked so good. And listen, a stunning event like this simply cannot happen without someone holding the pieces together. Kecia Wilson with Three Little Birds Weddings was an ever-present guiding hand that made sure every fleck of detail was perfect and in place. Her kind and calm demeanor was a breath of fresh air to us, especially having photographed many wedding and events without such a steady voice to keep things progressing. She truly cares and her exceptional work shows from start to finish. 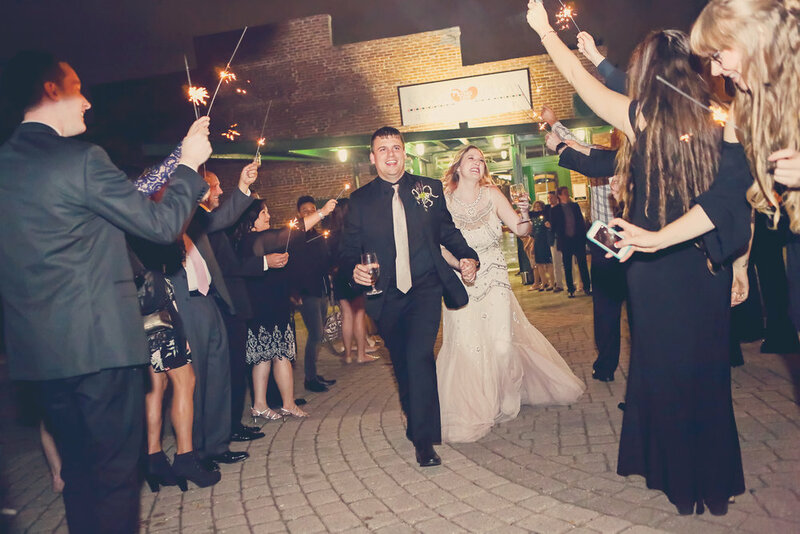 When the night was over, a beautiful sparkler exit was the most fitting way to send off this rock star couple. After a big sigh, we looked at each other and knew that this was the most beautiful, tender, fun, unique, badass wedding that we have ever seen. A million thank yous to Amanda and Bill and their families for allowing us to be part of this most special of days. We cherish this experience.